Familiar tunes include "I Have a Little Dreidel" (both in its original Yiddish form and in a neo-funk Hebrew/English setting), a swing version of "S'vivon" by Steve Barnett, and a lively setting of the traditional melody for "Al-Hanissim" ("For the Miracles") by Elliot Levine. Heartfelt original compositions by American and British composers provide added depth of expression to celebrating the holiday. Such works include "Lo Yisa Goy," a plea for peace by Stacy Garrop; Bob Applebaum's stirring new version of "Haneirot Halalu"; and movements from the majestic "Hallel Suite" by London-based Daniel Tunkel. 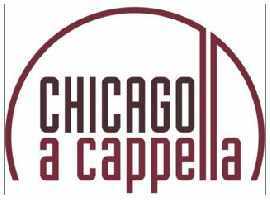 All selections are performed by Chicago a cappella, the virtuoso vocal ensemble now in its 23rd season. Jonathan Miller provides liturgical and cultural background as part of this unique look inside old and newer choral Chanukah traditions.